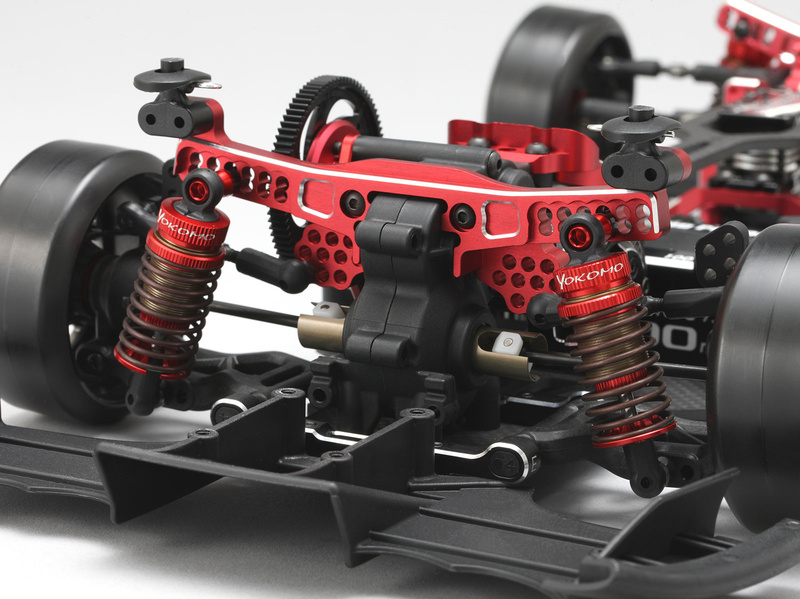 Already proven to have awesome performance it is now available with the latest upgrade parts and new curved slide rack steering system. 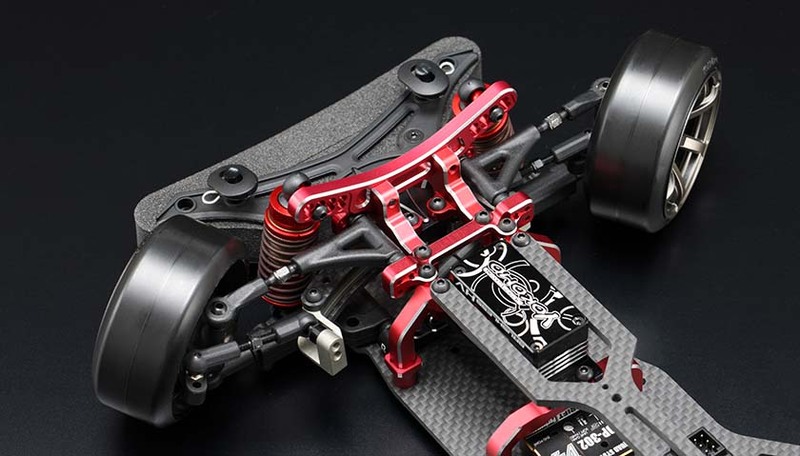 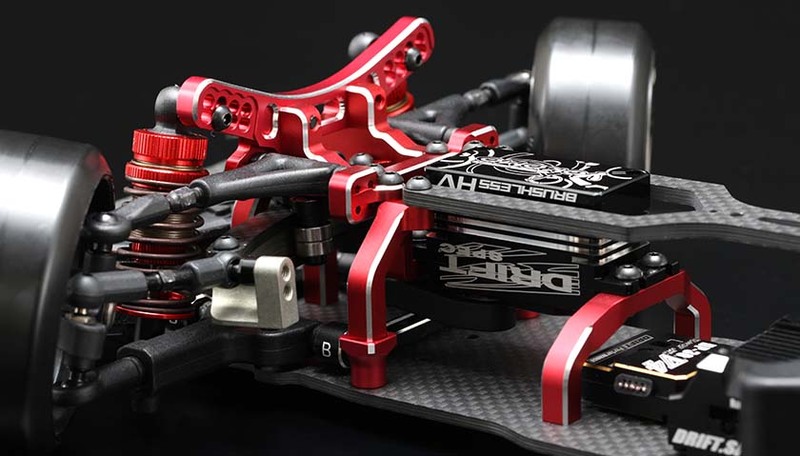 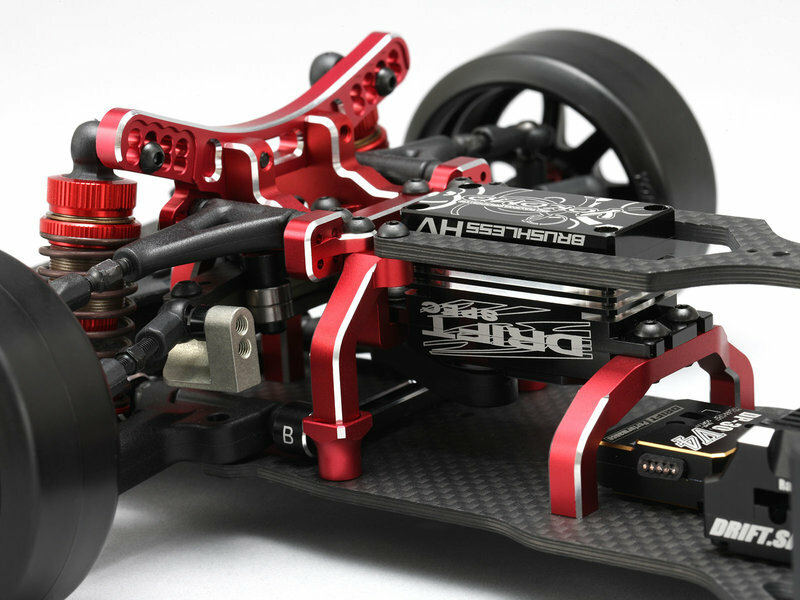 The special RED Aluminum (limited specification)/Carbon high precision curved slide rack provides a smooth, precise and consistent feeling from steering inputs from the start right through to maximum steering angle. 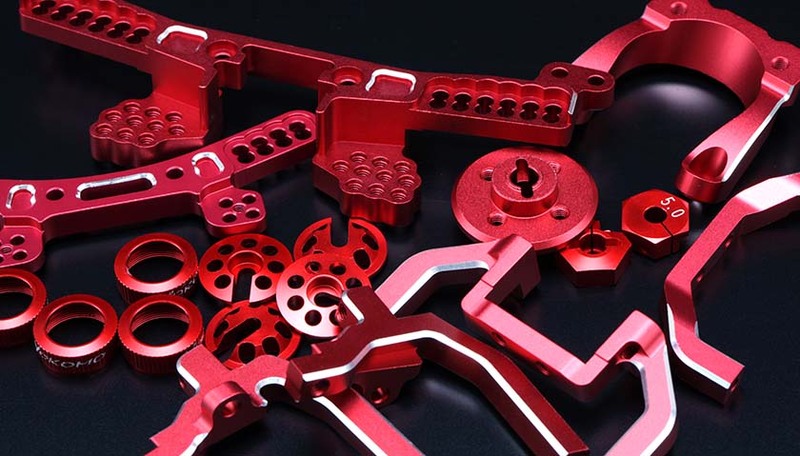 Passionate red anodized parts are compare to none. 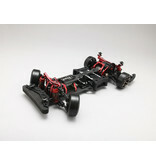 Of course it has been sharply finished with bell edge treatment. 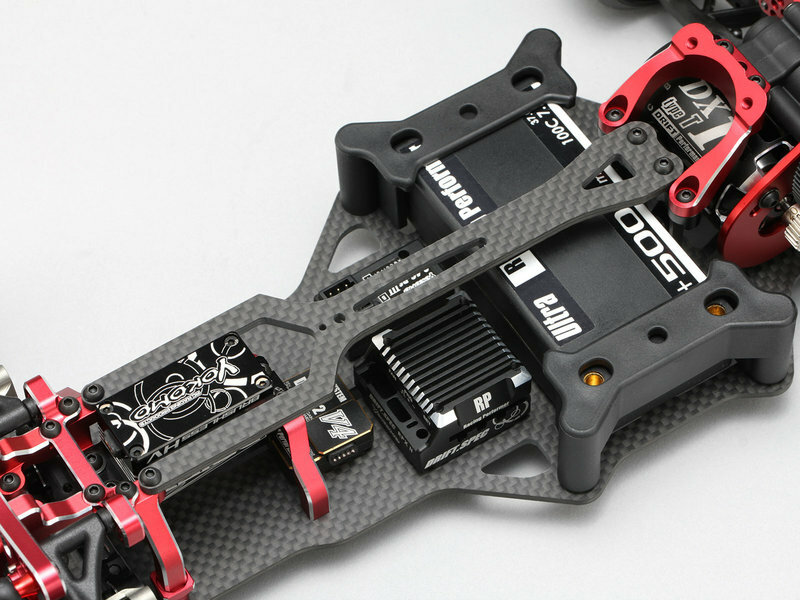 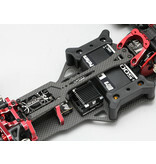 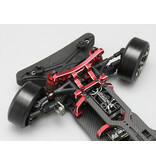 * Red anodized parts are perfectly limited specifications that do not sell spare parts. 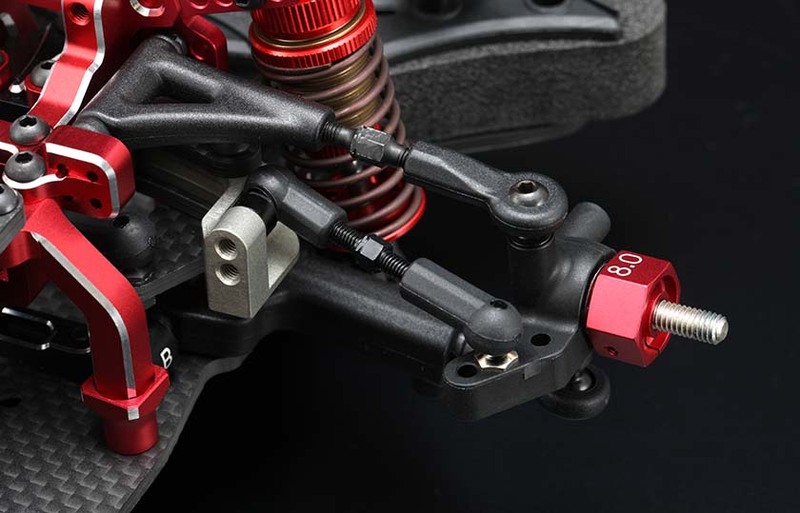 All the important Ackerman ratio produced by the new curved steering slide rack provides the best steering characteristics for 2WD drifting. 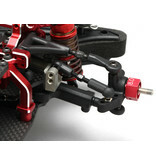 Super easy to adjust and tune simply by adding spacers under the ball studs. 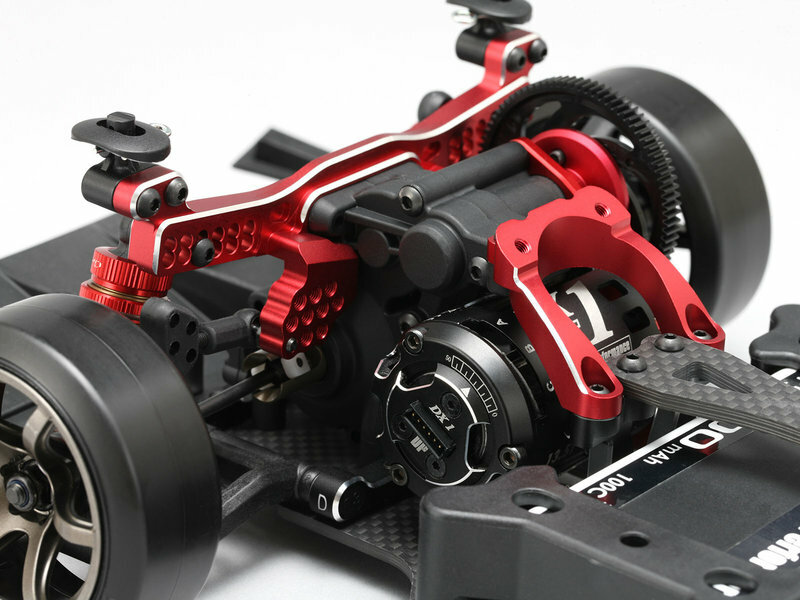 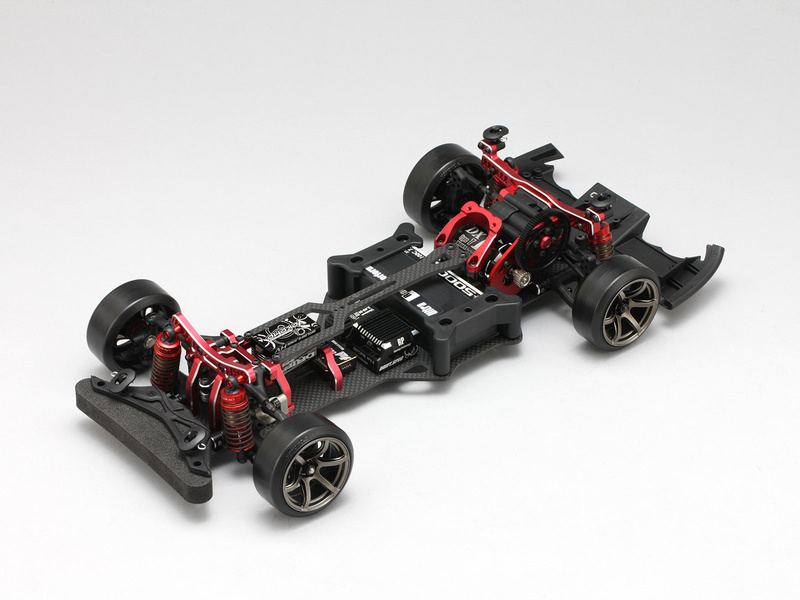 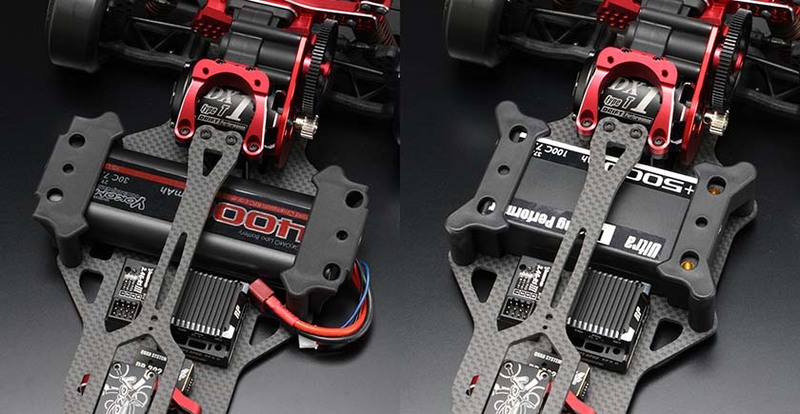 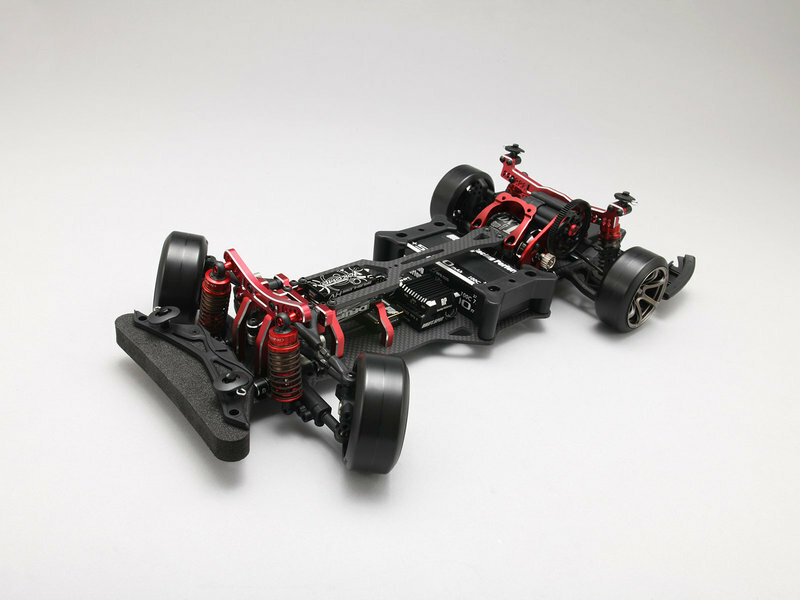 Enabling you to hold more power through the drift at maximum steering angle, control is increased and the chassis is more stable than ever before. 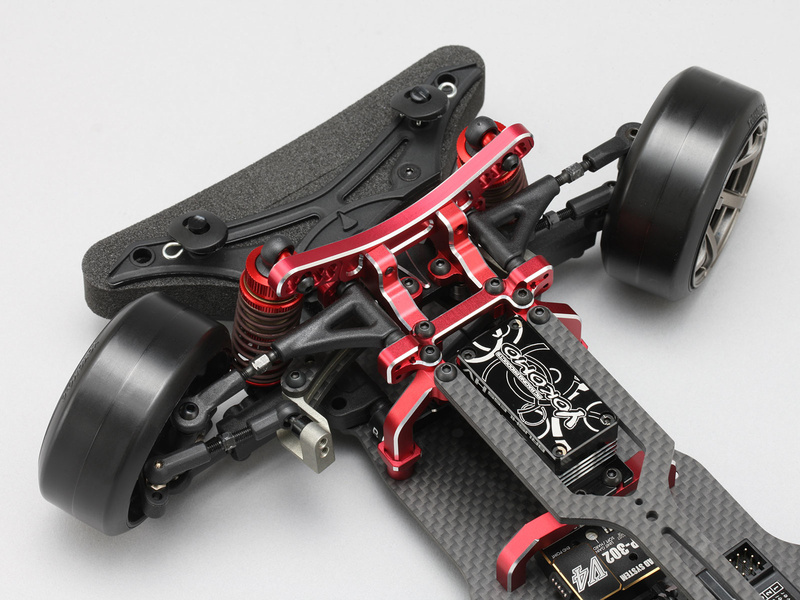 The rack is also mounted to the bulkhead at an angle removing bump steer all the way to full lock, further enhancing the awesome control and stability of the chassis! 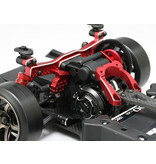 The rack is installed with a forward tilt angle in order to reduce the bump steer, which is the tendency of the wheel of a car to steer itself as it moves through the suspension stroke. 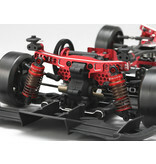 The body roll and suspension motions will not influence the car to turn more sharply than the driver anticipates. 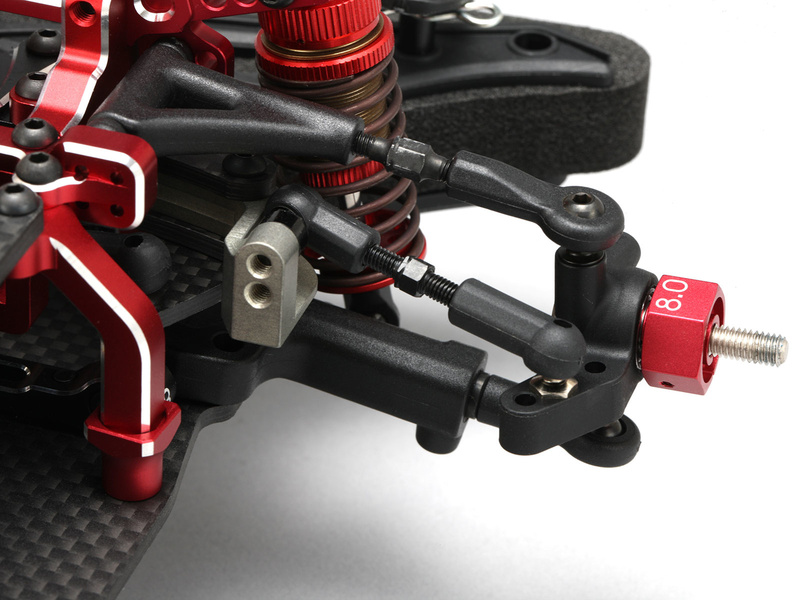 The steering knuckles are also optimized for the latest 2WD drift configuration. 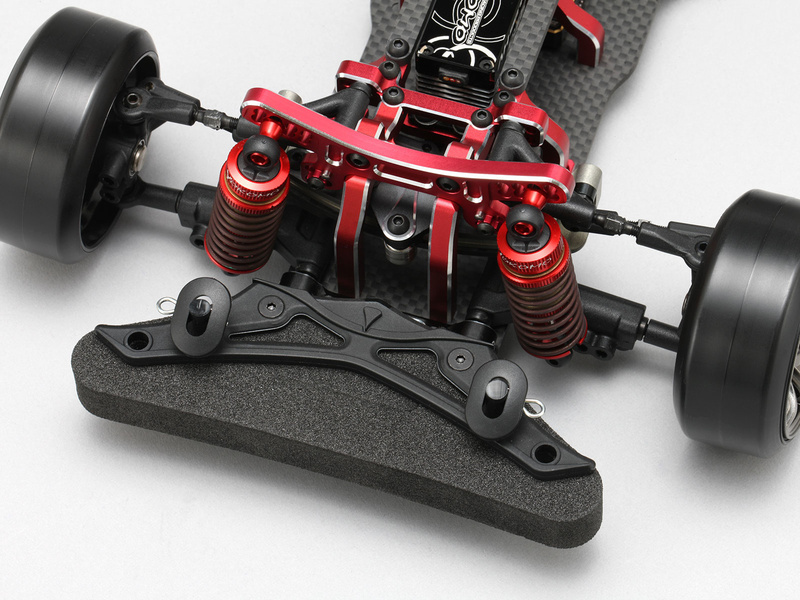 This new knuckle geometry combined with the new short suspension arms has achieved our most impressive steering angle yet with no binding up of the front suspension or wheel rub! 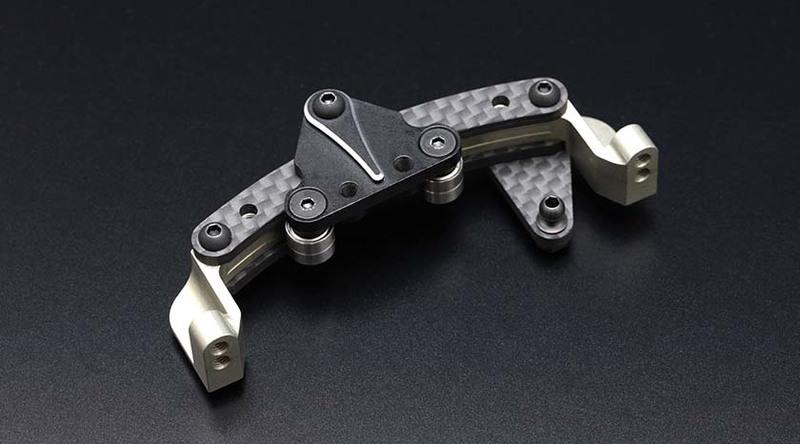 The latest version of the rear shock tower is now aluminum, finished with smoothed beveled edges, not only does it look amazing but the stiffer material enhances throttle inputs. 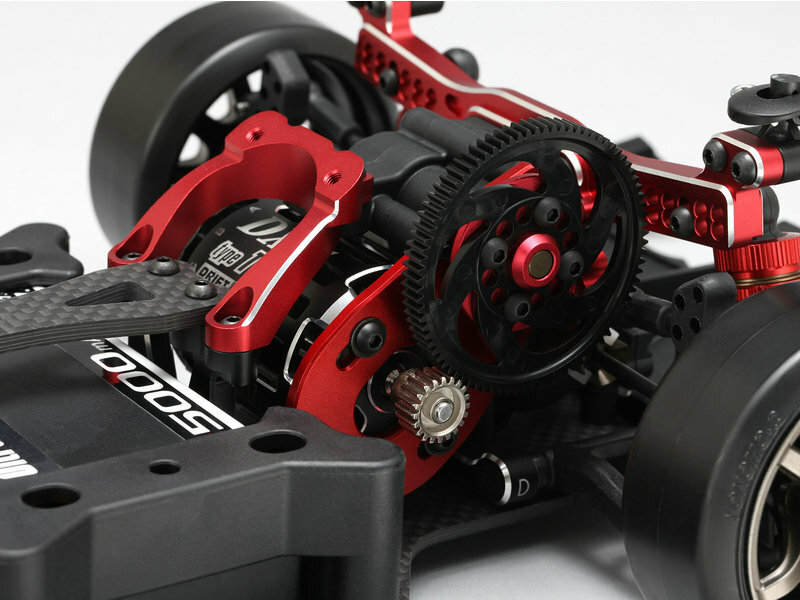 Rolling and pitching are transferred through the suspension geometry more efficiently to achieve an enhanced, sharpened feel. 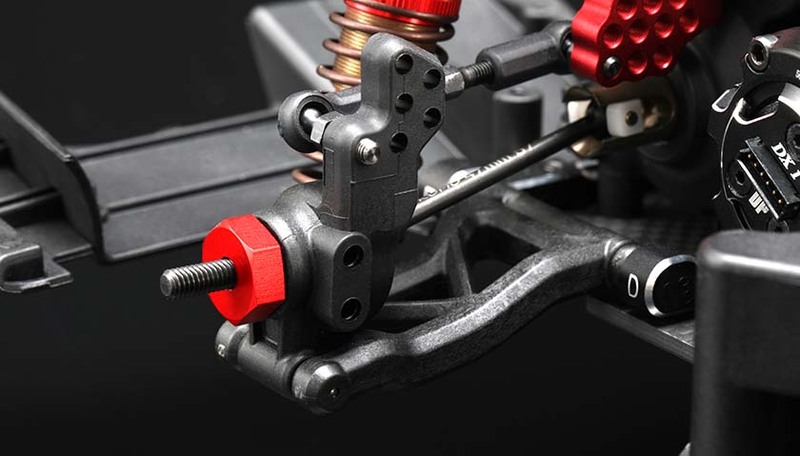 By increasing the mounting position of the upper arm at the rear hub, the roll center and camber change adjustment has been increased. 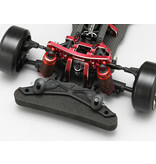 It is now possible to set up the car to positively utilize the roll generated to further enhance grip even on the slipperiest of surfaces. 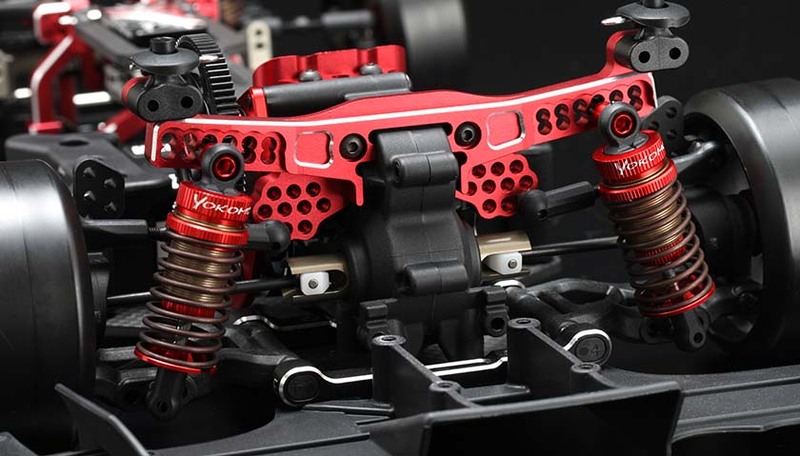 The new wider suspension mounts are also made of our high strength aluminum, precision toe angle settings are possible by swapping over the supplied hard resin bushes, allowing many fine toe adjustment options for the front and rear. 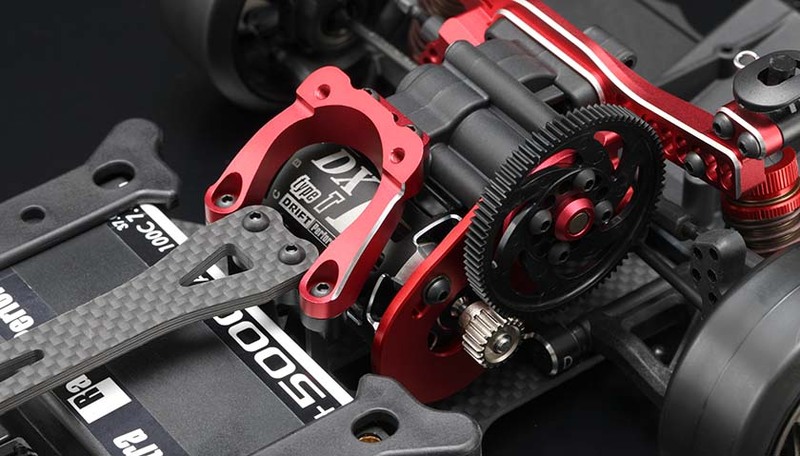 Innovative design of 4-gear transmissions for drift car. 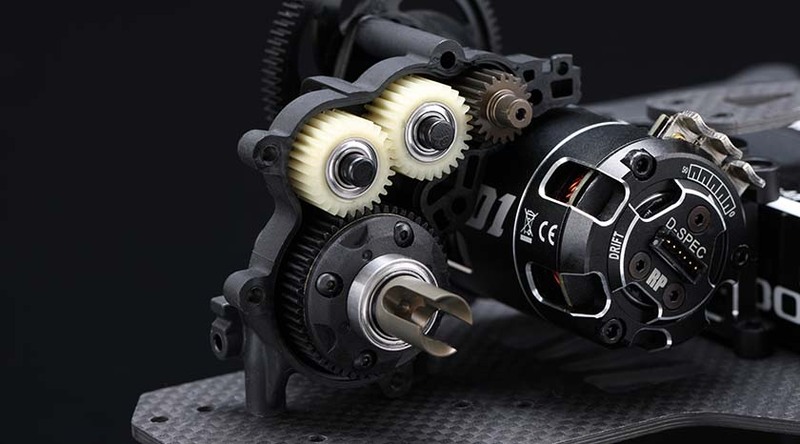 Gear differential is a lightweight type by using a plastic bevel gear and aluminum axle. 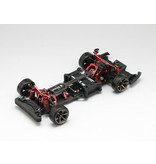 Contributes to the improved throttle response and performance. 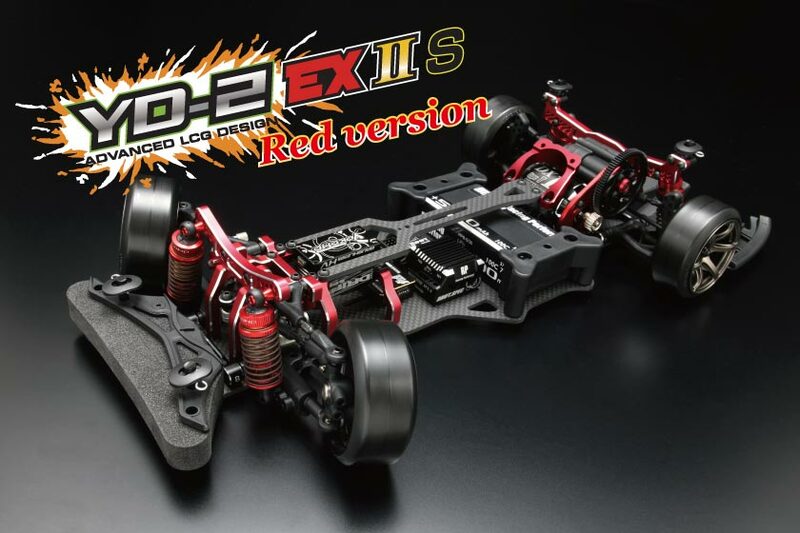 All size of battery for NiCad, NiMH and LiPo are possible to install on YD-2E series car kit are possible to mount on. 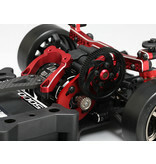 The kit does not include body, wheels, tires, motor, batteries ,pinion gear, steering gyro,and other R/C electrics.